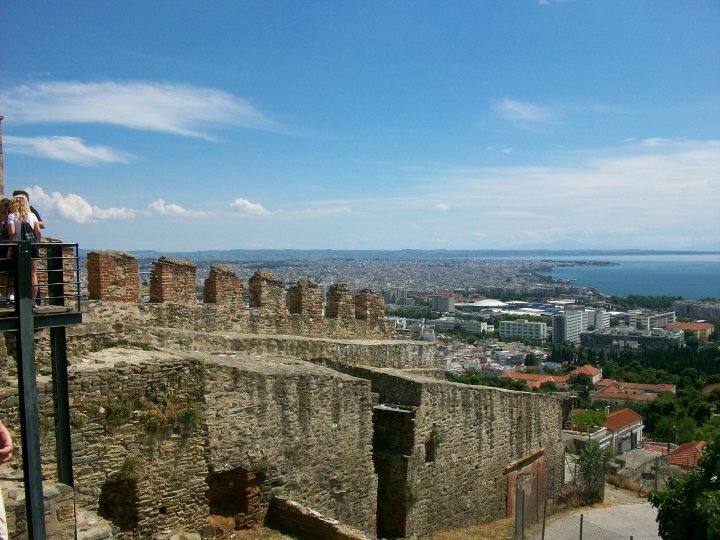 The birth place of democracy, the Olympics, and the lighthouse, Greece is one of the best countries to study abroad. 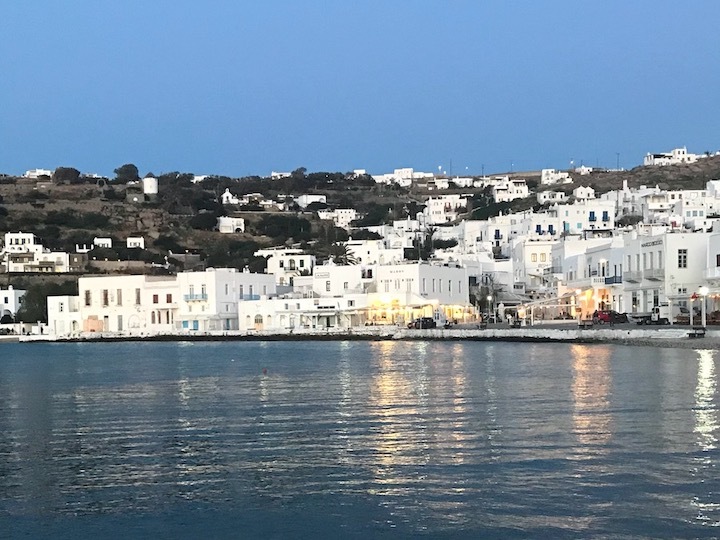 Students will be able to enjoy the rich cuisine, vibrant night life, and the famous island way of life that make Greece a top destination to spend a semester in. With ancient civilizations dating back to 800 BC, Greece is busting at the seams with historical sites and buildings. 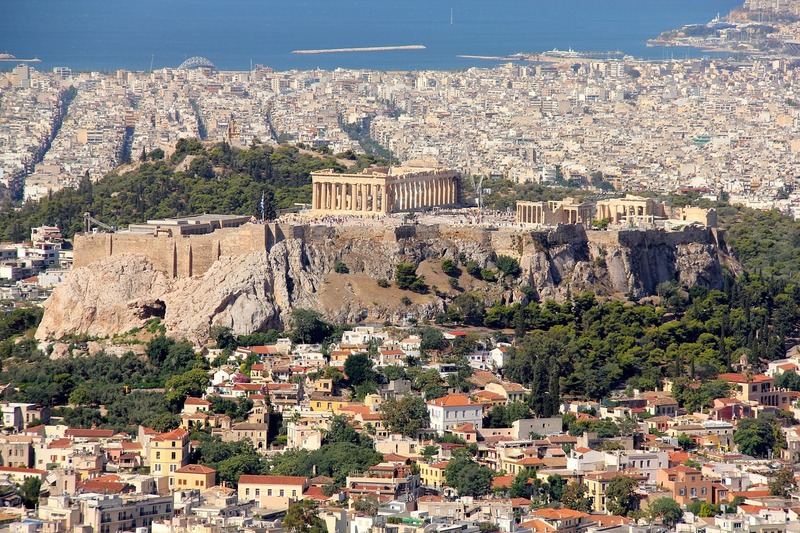 A few of the many sites you can visit are Delphi, the Acropolis, ancient Sparta, and Mount Olympus. 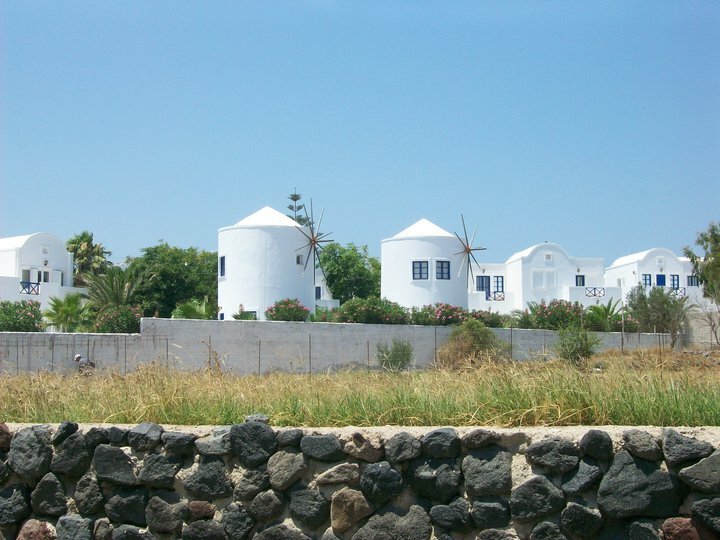 Greek culture is heavily influenced by its ancient past and traditional lifestyle. With daily rest breaks, family-style meals, and countless festivals, the culture of Greece is like no other. Compared to studying abroad in France or Italy, studying in Greece is very affordable. Food, attractions, and transportation are low-cost, which leaves you with more money to use on weekend trips around the country. 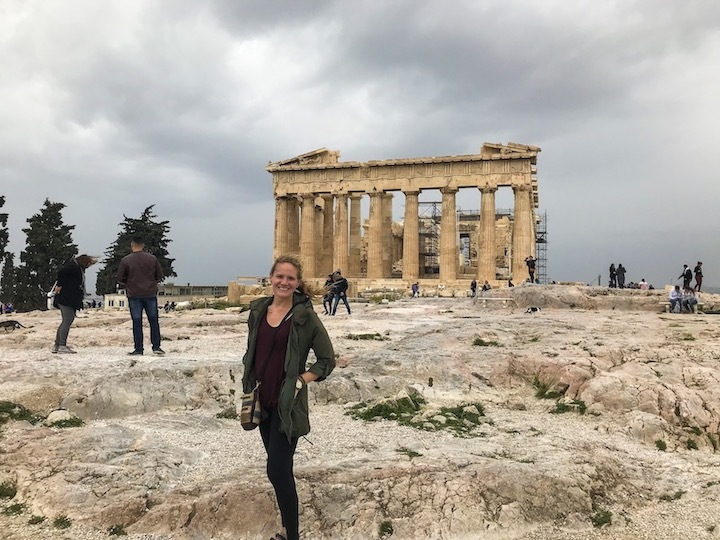 Greece is safe to visit for students. Severe crime rate is low and female students should feel comfortable to walk around by themselves. The most famous food to come out of Greece and possibly the most delicious. This pita sandwich is traditionally stuffed with tomatoes, onions, tzatziki, lettuce, occasionally French fries, and pork. Gyros are not the only food Greece has given to the world. 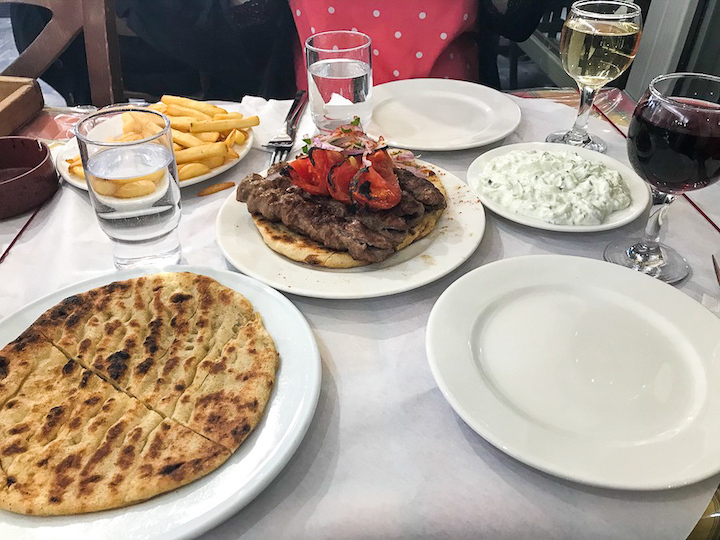 Other famous dishes you can try are moussaka, Greek salads, souvlaki, and spanakopita. Every food experience in Greece is a special occasion and is best shared with friends. 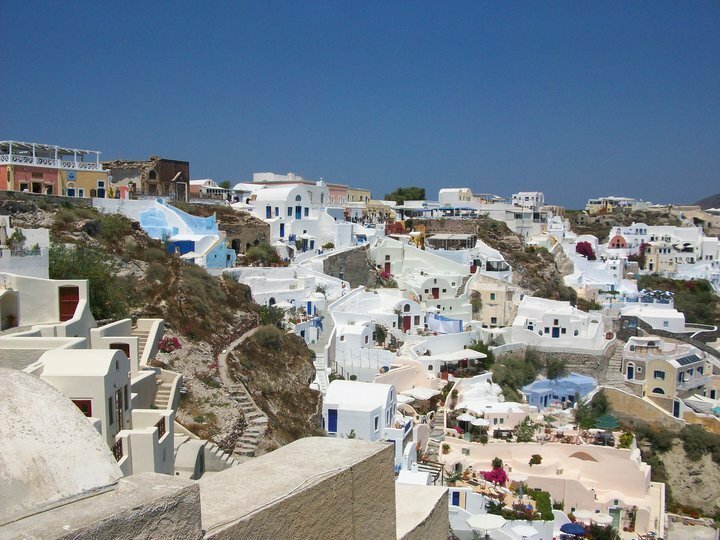 One of the top experiences in all of Greece, the Greek Islands are picturesque rocky isles with blue and white buildings. With 6,000 islands to choose from, you will have plenty of options for a weekend getaway. The capital of Greece and once the center of the Ancient World, Athens is a modern city with ancient ruins scattered above and below ground. The city is known for its roof top bars, historic neighborhoods, and archeaological sites. The second largest city in Greece and the country’s northern metropolis has its own distinct culture. 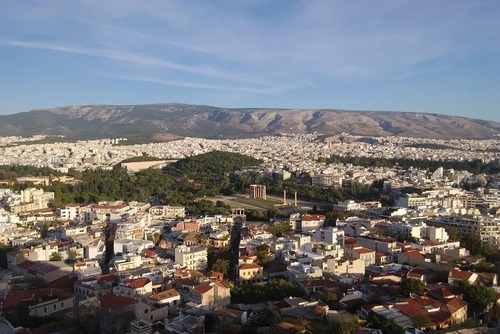 With a heavy influence not only from Ancient Greece but also Byzantium, and a growing tourism scene, the city is the definition of modern Greece. Greece has some of the most beautiful beaches in all of the Mediterranean. Greece caters to every type of beach goer whether it be sunbathers, cliff jumpers, or water skiers. 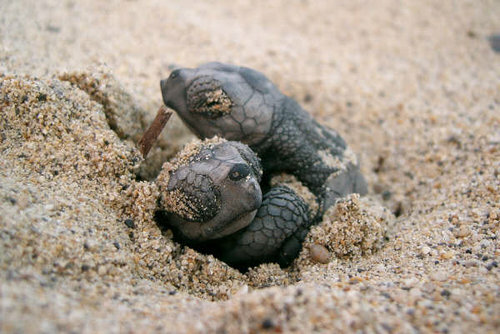 All you have to do is choose which beach is the best for you. Meteora is a UNESCO World Heritage Site featuring a collection of Eastern Orthodox monasteries precariously built upon giant rocks in central Greece. 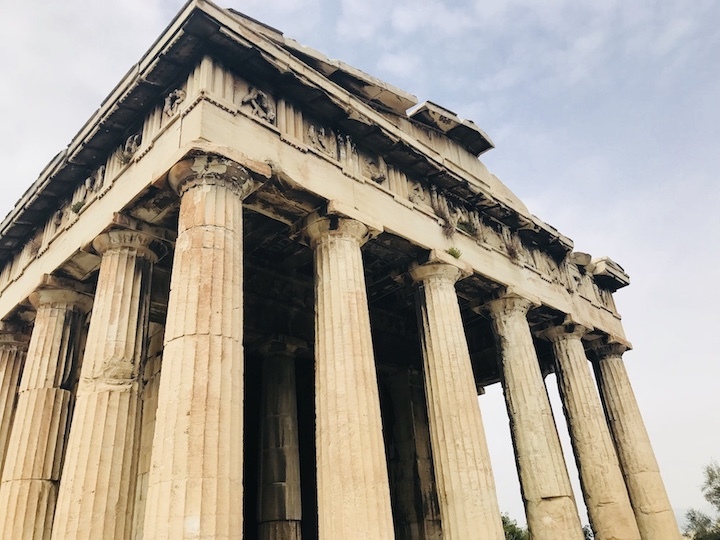 These monasteries are the perfect opportunity to combine an outdoor activity while learning about the religious history of Greece. 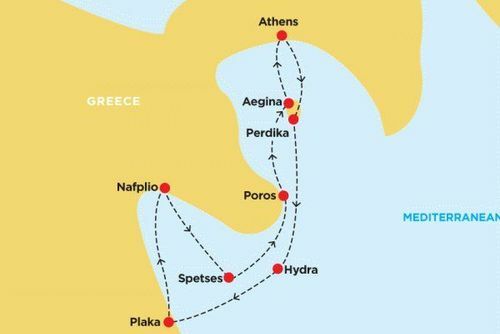 Centrally located in the Mediterranean, flights in and out of Athens or Thessaloniki to nearby countries are affordable and short. You can take a long weekend trip to Istanbul, Venice, or Dubrovnik. 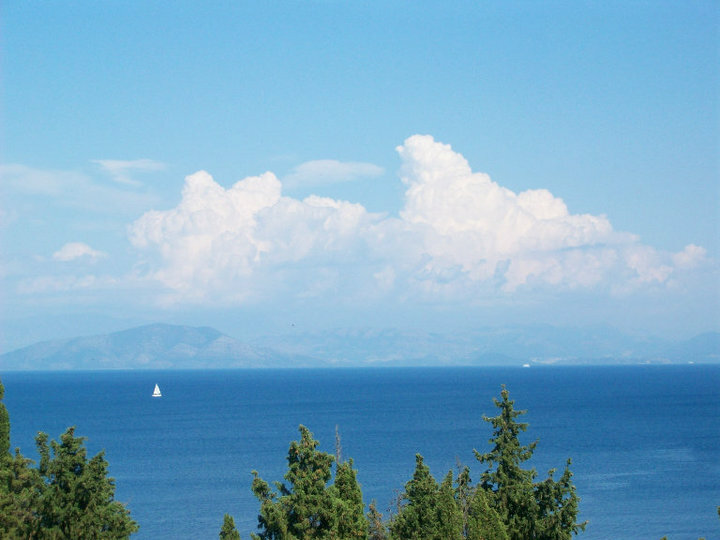 Greece has one of the best year-round weather in Europe. With warm, dry summers and cooler winters, it is the best place to study abroad. This temperate climate allows you to explore this beautiful and unique country all year round. 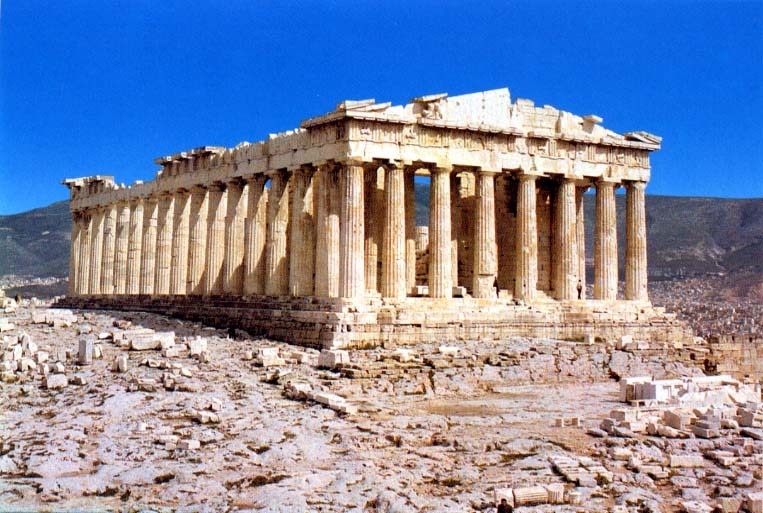 As mentioned above, advanced civilizations have been in Greece since before 800 BC. This vast architectural history has left some of the most stunning archaeological sites in the world. You could spend 3 months visiting just these sites and still not have seen everything. While Greek food is centered around meats and pita, it is also famous for its sweets, namely baklava and bougatsa. Baklava is a phyllo pastry made with nuts and honey and is a must when visiting Greece. Bougatsa is a cream or cheese filled pastry best eaten at breakfast with a Greek staple, the frappe. 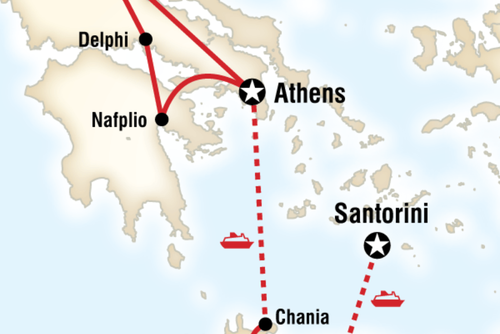 Whether you study in Athens or Thessaloniki, you will be able to take countless weekend trips. 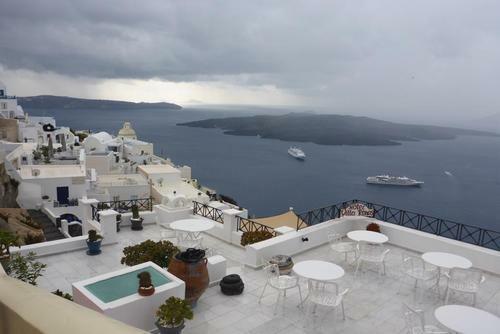 While you are in Greece you are only so far away from a beach, an island, or a stunning temple. 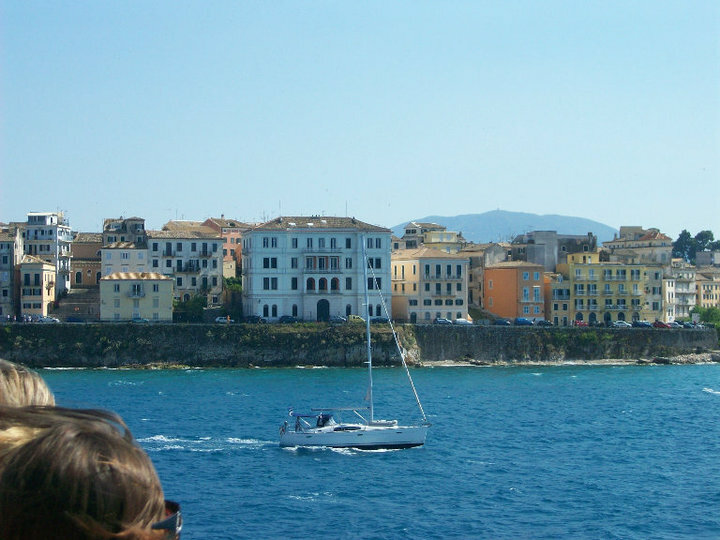 A special island off the western coast of Greece, Corfu is a beautiful blend of Greece and Venice. Brightly colored buildings, large plazas, and stunning cliffs make up this quaint island. Arguably the best beaches in Greece, this northern region of Greece is famous for its crystal-clear waters, vast forests, and stunning beaches. 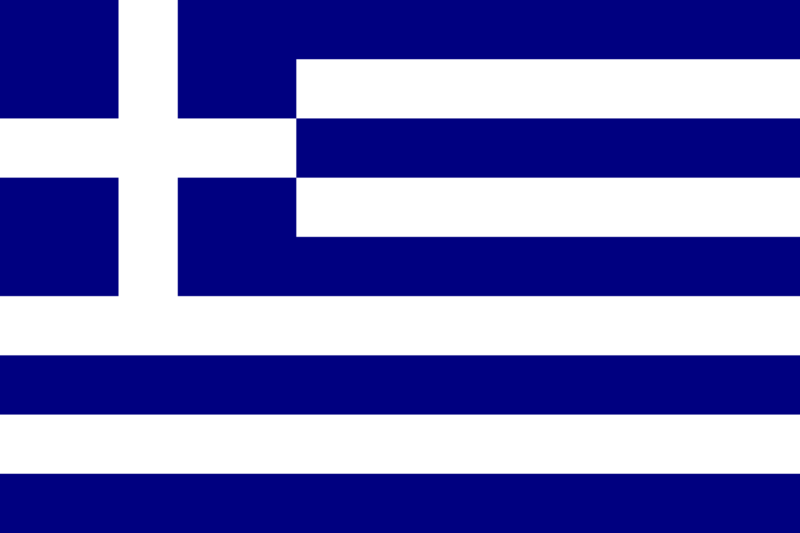 The Greek language has been around for thousands of years and many modern words are derived from ancient Greek. Democracy, planet, marathon, and music are just a few of the thousands that make up the English vocabulary. A lot of local people speak English but not everyone so you might want to learn to basic Greek words and phrases before arriving. This will make the whole experience easier and more enjoyable. 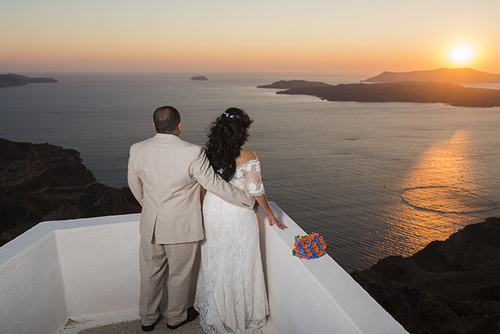 A Greek wedding is an experience like no other. With lively music, singing, and mounds of food, a Greek wedding is something every student should have the chance to see. The Greeks know how to enjoy a night out. You can choose from luxury rooftop clubs, retro pubs on the islands, contemporary cocktail bars, or relaxed outdoor restaurants. The most famous of the Greek Islands, Santorini is a picturesque landscape of white buildings with blue roofs, vibrant flowers, and dazzling views of the island. It is worth the ferry ride and crowds to see this elegant island. A Greek frappe is a must at any breakfast or brunch. The frappe is an iced coffee drink topped with foam that is especially enjoyable on the hot mornings or while sitting by the beach on Mykonos. 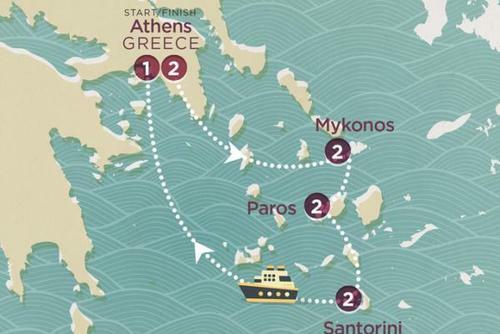 You will have to take an extra suitcase just for the amazing crafts and souvenirs you can find in Greece. You will be able to find plenty of earrings, evil eye bracelets, woven rugs, and temple statues to take home. The Greeks are passionate and kind. They love their country, their food, and their history. The Greeks are one of the main highlights of studying abroad in Greece. 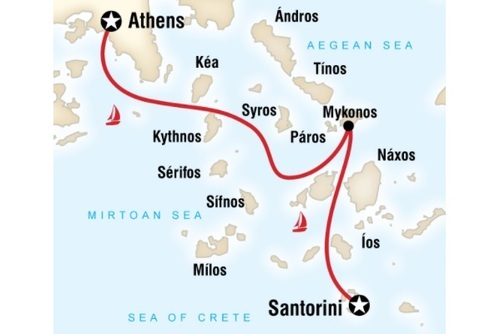 Search study abroad programs in Greece and arrange an amazing experience today.